There is a new download available so you can explore Stonehenge virtually, Its quick to register and you will mixing with the Druids in minutes. Link at bottom of page. 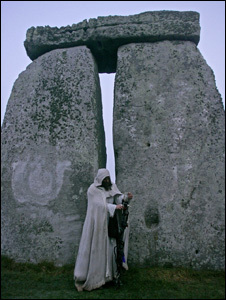 “The druid beckons us to travel back in time with him, to find out all about the mysteries of Stonehenge. He swivels to face away from us; we follow him. Suddenly the land around us changes – we’re right in the heart of a dense forest, with all the plants, animals and atmosphere of Stonehenge brought to life right before our eyes. “The druid carries on regardless. He turns, and he’s changed: his clothes have dated thousands of years. A quick smile and a wink reassures us as we’re whisked away through millennia of human history. This is just the smallest tip of an epic story we at Heritage Key are developing, in the journey through Stonehenge Virtual. A place intertwined with history, controversy and ethereal mystery, Stonehenge has been a subject of speculation for centuries – its stones tell a silent story of thousands of years of clandestine ceremony, royal burials and celestial ambitions. From the twisted bodies of the land’s first people, to the majestic beauty of the midsummer’s sunrise over its sarsens, Stonehenge raises just as many questions as it answers about life in prehistoric Britain. Heritage Key invites you on an exclusive tour back thousands of years to the dawn of British history with Stonehenge Virtual. •See the wonder of Stonehenge as it once stood over four thousand years ago. 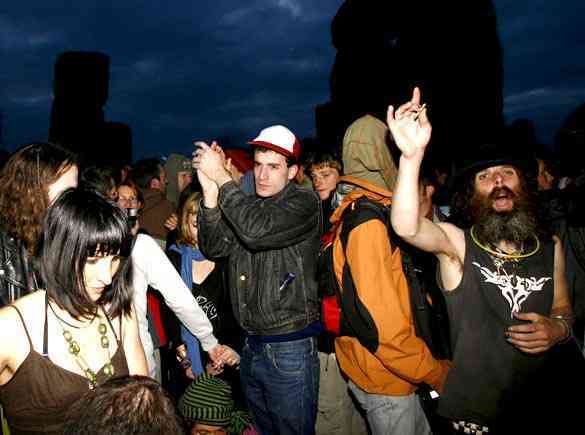 •Interact with the people of the time, and take part in an ancient sunset ritual. 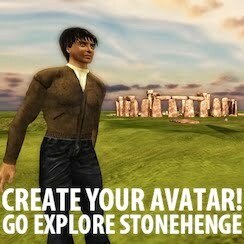 •Experience life as one of the ancient people who built Stonehenge. Learn everything about Britain’s most spectacular prehistoric landmark. Explore the plants, animals and food which made Bronze Age Britain such an awe-inspiring place. 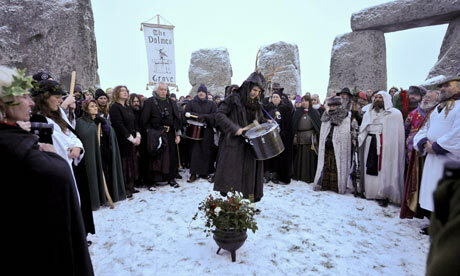 Invite your friends along to a modern-day Druid ritual at the world-famous summer solstice festival, and learn about its greatest characters. There’s so much more to the story of Stonehenge than its magnificent stones – fierce foreign warriors who came seeking magical medical redemption; powerful leaders who lived and died for the magnificent monument. Stonehenge is one of the world’s greatest landmarks, with a history that never ends – and we want you to be able to explore it in all its incredible glory while you enjoy our Virtual Experience. VISITORS to Stonehenge will now be able to take advantage of an expansion to the always popular Stonehenge Tour. The new package for 2010/11, beginning on March 16, will feature Salisbury Cathedral and the Magna Carta and enable visitors to explore Stonehenge, the hillfort of Old Sarum, and the cathedral using a single ticket. The tour allows visitors to step off trains at Salisbury station and straight onto the dedicated bus service. Stuart Maughan, English Heritage head of visitor operations for Stonehenge and Old Sarum, said “Neatly wrapping up three of the area’s top heritage attractions into one easy package like this will have real appeal for tourists and most especially for overseas visitors. 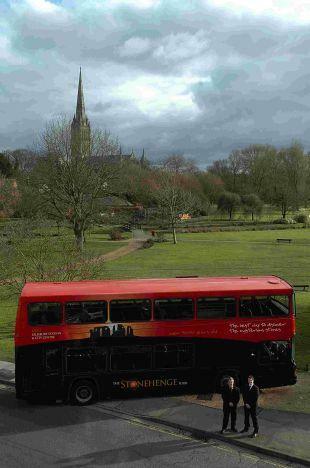 Customers join The Stonehenge Tour buses at Salisbury rail station, the bus station or any of the stops in Salisbury city centre or at the historic sites themselves. Buses run every 30 minutes during the summer and once an hour for the remainder of the year. Tickets are bought from the driver. Adult ticket prices range from £11 (tour only) to £22 (including admission to Stonehenge, Old Sarum and a donation to Salisbury Cathedral). English Heritage, working in conjunction with The National Trust, are fighting ‘tooth and nail’ to preserve the newly discovered ancient Henge found in Wiltshire, England. Also located in Wiltshire is Stonehenge thought to have been erected in around 3000BC. Coincidently, Concrete Post Henge is only, a remarkable, fifty feet away from the former, just over a small hill. Chartered Surveyors were called to the scene immediately and were able to verify that the structure had been around since at least two days after The Big Bang. Primitive drill bit markings and circular saw striations were, apparently, the most obvious clues in the age determining process. Now that was funny! The story above is a satire or parody. It is entirely fictitious. This was from the Spoof website. Its footpaths are “tortuous”, the roof likely to “channel wind and rain” and its myriad columns – meant to evoke a forest – are incongruous with the vast landscape surrounding it. So says the government’s design ­watchdog over plans for a controversial £20m visitor centre at Stonehenge, the megalithic jewel in England’s cultural crown. CABE, the Commission for Architecture and the Built Environment, has criticised the design of the proposed centre, claiming the futuristic building by Denton Corker Marshall does little to enhance the 5,000-year-old standing stones which attract more than 800,000 visitors each year. Its concerns are the latest chapter in the long saga surrounding the English Heritage-backed project, and follow a ­government decision two years ago to scrap on cost grounds a highly ambitious £65m scheme to build a tunnel to reroute traffic to protect the World Heritage site. The centre, which has been approved by Wiltshire county council planners, has divided opinion. “We question whether, in this landscape of scale and huge horizons and with a very robust end point that has stood for centuries and centuries, this is the right design approach?” said Diane Haigh, CABE’s director of design review. But the “twee little winding paths” were “more appropriate for an urban ­garden” than the “big scale open air ­setting the stones have”, she added. The many columns were meant to be “lots of trunks” holding up a “very delicate roof”, she said. “Is this the best approach on what is actually a very exposed site. In particular, if it’s a windy, rainy day, as it is quite often out there, it’s not going to give you shelter. We are concerned it’s very stylish nature will make it feel a bit dated in time, unlike the stones which have stood the test of time”. CABE believed the location of the ­centre, at Airman’s Corner, is good, and were pleased “something was happening at last”, but questioned the “architectural approach”. The centre has the full support of local architects on the Wiltshire Design Forum, and has been passed by the local planning committee. Nevertheless English Heritage recognised it was an emotional and divisive subject. “Innovative architectural designs will always polarise opinion, and often nowhere more so that within the architectural world itself,” it said in a statement. 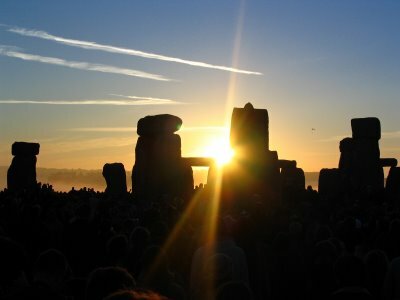 “The Stonehenge project has to overcome a unique set of challenges,” it said. “This has required a pragmatic approach and, following widespread consultation, we maintain the current plans offer the best solution”. Stephen Quinlan, partner at Denton Corker Marshall, defended the design. The roof was meant to be a “sun canopy” and not offer weather protection in what was, principally “an outdoor experience”. “It’s not an iconic masterpiece. It’s a facility to help you appreciate the Stonehenge landscape. 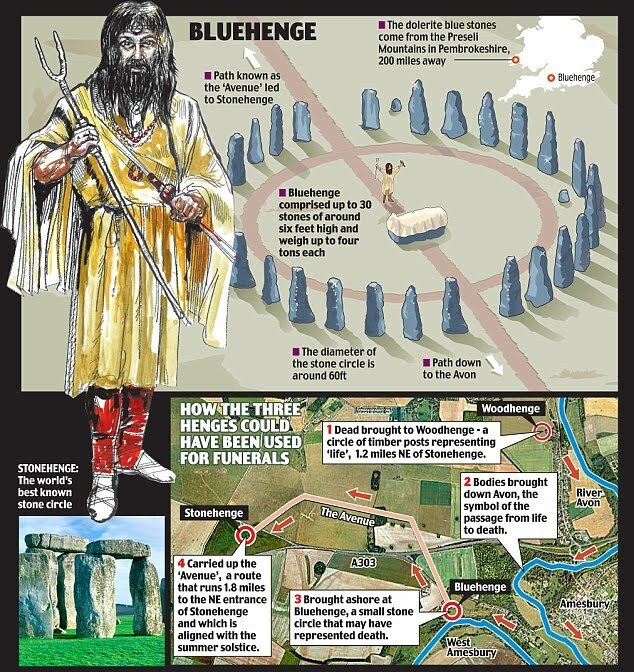 It’s intellectually ­deferential in a big, big way to Stonehenge as a monument. “I wouldn’t even mind if you couldn’t remember what the building looked like when you left. The visitor centre is not the destination,” Quinlan said.